Did you miss any EuroLeague action this week? Check out the replay of Good Angels Kosice vs. group leading Familia Schio from Italy. 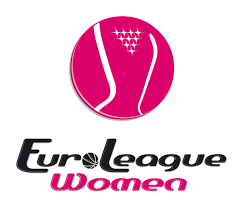 Did you miss any EuroLeague action this week? Here is the replay of Fenerbahce from Turkey vs. Avenida from Spain. Great game! Check it out. There weren’t any “upsets” in round four of EuroLeague play. The most interesting game was probably Castors Braine playing UMMC close on their floor and losing only by 5. Also in Group B, Girona and Bourges are still in search of that elusive second win while Wisla is still on the hunt for their first. Orenburg continues to keep pace as their only loss is to undefeated UMMC. AGU Spor and USK Praha both had convincing wins against their opponents. In Group A Dynamo Kursk, Fenerbahce, familia Schio and Galatasaray all had dominant performances in their wins this round.